Backed up sewer? Sewer Main line stoppage? 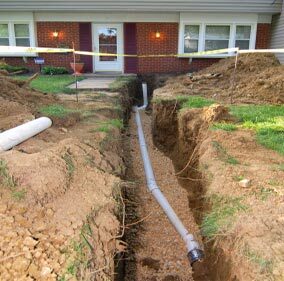 We specialize in sewer rodding, sewer and drain cleaning and sewer repair services. When you have a sewer backup or clogged drains, it's important to hire an expert sewer and drain cleaning company. If you have questions or need a quote, we will give you the information and price up front, so you know the price before we begin the work. Blocked drains can occur for a variety of reasons, so before we give you an estimate, we may need to further investigate the source of the sewer or drain pipe problem. We have the equipment and experience to diagnose and solve the issue fast. We are licensed and Insured for your protection. Emergency Chicago Plumber is a full service plumbing company ready to solve virtually any plumbing problem 24 hours a day, 7 days a week. Here are just some of the services we provide.